A newly discovered extra-solar planet located some 11 light-years away may be suitable for life. It’s called “Ross 128 b” and you may be hearing a lot more of this exoplanet in the months and years to come. Jupiter’s Great Red Spot is a swirling anticyclonic storm that was previously large enough to fit three Earths inside. However, observations taken by the NASA/ESA Hubble Space Telescope has revealed that this is changing, both in shape and size. So why is Jupiter’s trademark feature beginning to downsize? This year, on March 9th, there will be a Total Solar Eclipse, visible over Indonesia and the Pacific Ocean. A total solar eclipse occurs when the moon completely blocks the Sun, revealing the its beautiful outer atmosphere known as the corona. An eclipse thereby totally or partly obscures the image of the Sun for a viewer on Earth. The view you see here will be the view of the sky visible in parts of central Indonesia and the Pacific Ocean. March 8 will bring us what is called “Jupiter at Opposition.” This means the giant planet will be at its closest approach to Earth and its face will be fully illuminated by the Sun. Jupiter will be brighter than any other time of the year and will be visible all night long. It will be seen on the eastern horizon after sunset under the constellation Leo, the lion. 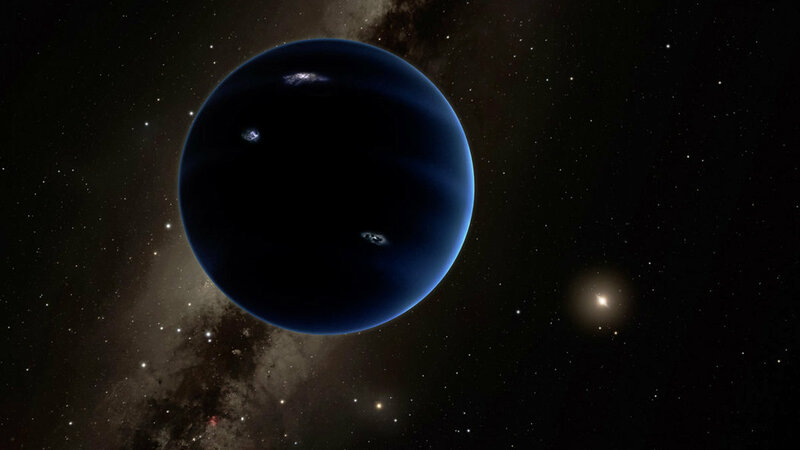 Caltech scientists Konstantin Batygin and Mike Brown make the case for Planet Nine, a giant planet tracing a bizarre, highly elongated orbit in the outer solar system. Break out the binoculars because on Wednesday, Jan. 20, Mercury, Venus, Saturn, Mars and Jupiter will all be visible in the sky at the same time. If you miss it tomorrow night there’s no need to fret, the spectacle will still be visible for the remainder of the month. When we see depictions of the solar system, we often see an inaccurate representation of its size and scale. Some of the planets are often enlarged, other planets are minimized to a degree, while the orbital paths are shrunken down to be closer to the sun. This is done because, when viewing the entire solar system, you want to see everything that is there. Not only is there an enormous amount of space between the planets–especially between the rocky inner planets and the outer gas giants–but the scale between the inner and outter planets are at opposite ends of the spectrum. After all, you can fit over a thousand Earths inside Jupiter. 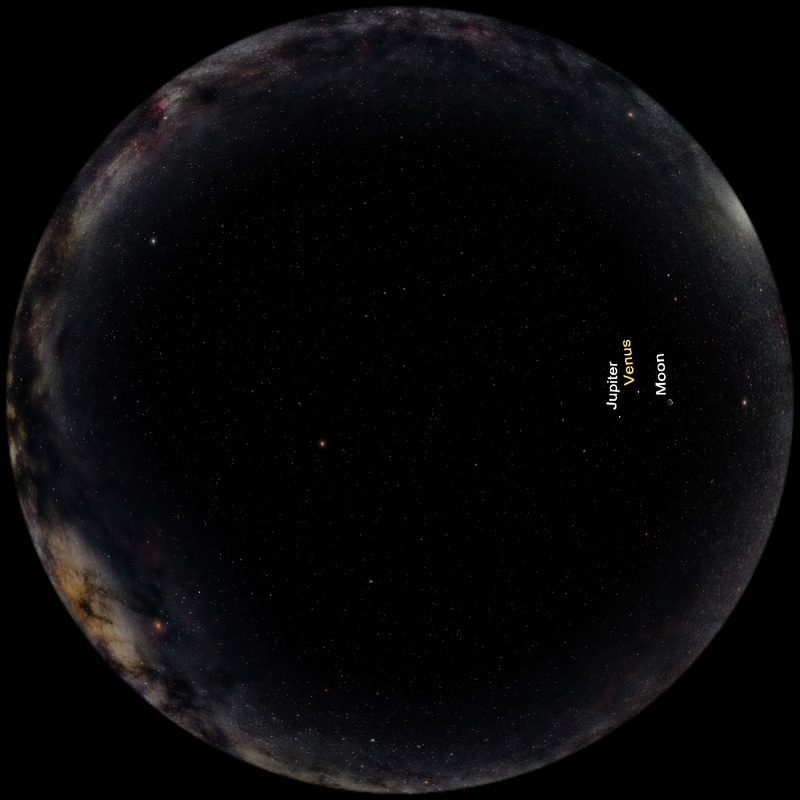 Giving an accurate depiction of the solar system’s scale is a very difficult task. It is a task that was recently tackled by filmmakers Alex Gorosh and Wylie Overstreet, using the “Earth as a marble” concept. July 15th was a historic occasion as it marked the first time we were able to see close-up pictures of Pluto’s surface. Traveling at over 30,000 mph, New Horizons snapped some very interesting pictures of the dwarf planet’s surface as it came within 47 thousand miles of it, beaming back to us details never before seen. What New Horizons captured for us was a first glimpse at mountain ranges and deposits of methane & nitrogen ice. Tonight marks an interesting alignment of two bright planets in the sky with our moon. Through the rest of June you can look up and see Jupiter and Venus, along with the moon, in a triangular fashion just after sunset. While on board the International Space Station, geophysicist Alexander Gerst spent a lot of time looking back down to Earth from 205 miles above. In his tenure aboard the ISS he took loads of photographs, documenting hurricanes, floods, dust storms, and oil fields. One of his favorite things, however, was taking pictures of how clouds cast shadows. The results can be quite dramatic.